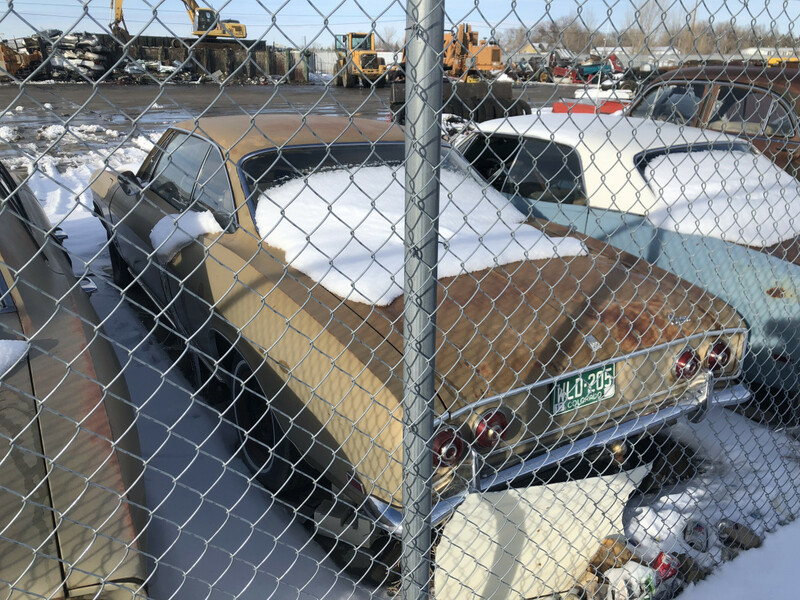 Storage Yard Classics: Corvairs Aplenty! 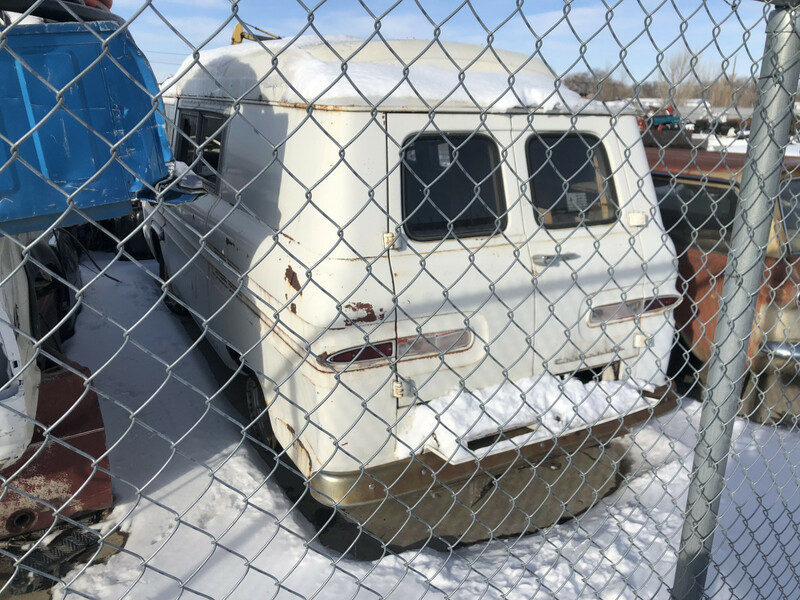 From left to right in the lineup we start with this Corvair Greenbriar van (First Generation). The van wasn’t offered in the second generation so that makes things easy for me. Next up is the wagon, also a first generation, also not offered in the second generation. You want patina? Here’s your ride. A second generation sedan from back when sedans were still in favor. The hood badge reads 110 so this has the larger engine (but smaller than the Corsa version’s). A two door coupe, also a 110 2nd gen, looking pretty complete if somewhat weathered. Skipping over the interloper, we are now back to our lead picture, the convertible. 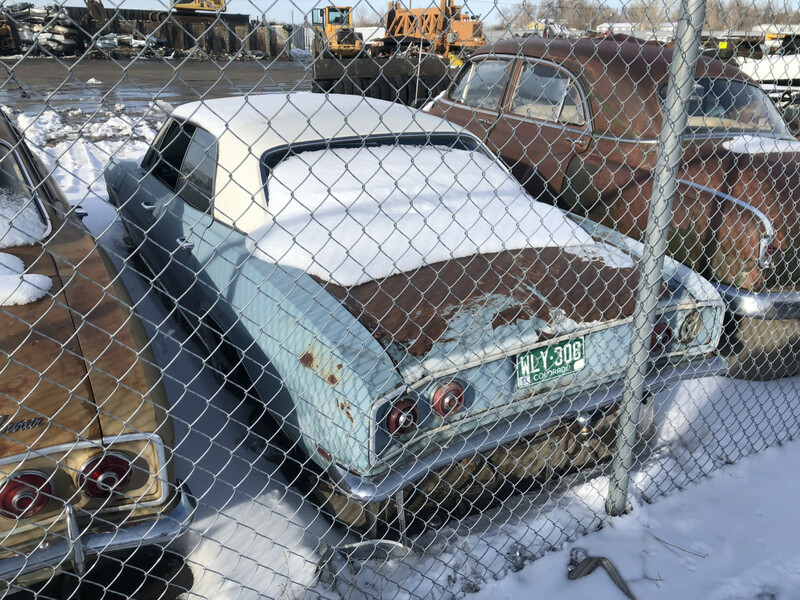 A first generation car, this one looks pretty far gone. And last but not least, another two door coupe with an interesting weathering pattern on the side. I walked by a Greenbriar van a couple of days ago. Forgot how much Corvairs smelled like gas all the time. Funny, considering how people smoked in these things. I find the later Corvair sedans and coupes equally attractive, proof that one could design a graceful looking small car. First gens were cool in that funky, odd, “I’m an import fighter” kind of way. Maybe one of those is a ’66, the year I was born. I’ll take it. That wagon is really interesting to me. 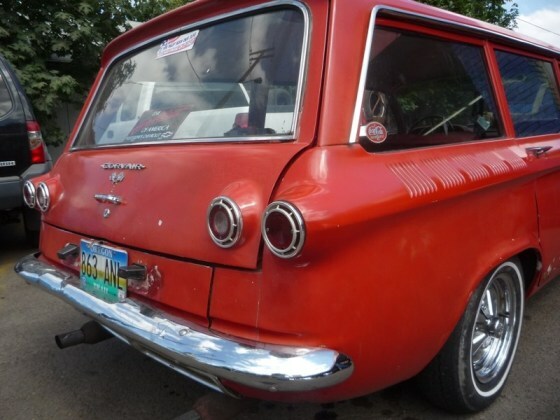 Did the Corvair wagon not have a rear window that opened separately from the liftgate? Our 61 Olds F-85 had a power window that lowered into the gate. From the sales bulletin I found, the shape of the gate is remarkably similar. But perhaps I should not be surprised as the Y body was derived from the Corvair. It looks like a fixed window to me. I don’t think the gate itself goes down as far as what the Oldsmobile had, therefore no place for the window to go. The window did not go down in the Corvair. it couldn’t have, as the lower section of the tailgate was shorter, since the Corvair wagon had a significantly higher rear floor due to the engine. But yes, except for certain necessary changes, the Corvair and Y bodies shared much of their key body structures. Excellent point about that tailgate depth. You would think I had been awake longer today. And a station wagon with a fixed rear window could have been a pretty hard sell to an American buyer of that time. But I think the wagon may still be my favorite Corvair. 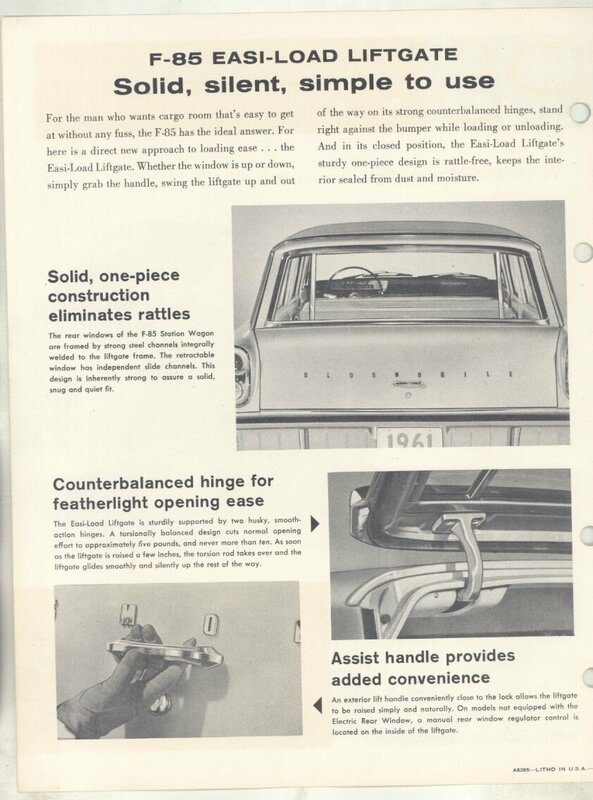 Regular GM station wagons didnt get roll-down rear windows until 1959, so it was a relatively new feature at the time. But at least those rear windows opened somehow. 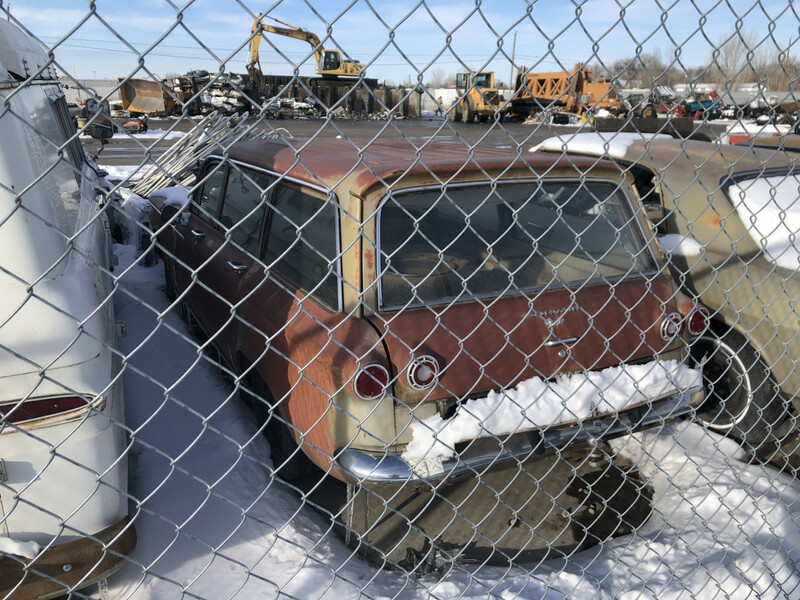 A wagon with a rear window that did not open may have been common on some imports (I’m thinking of the VW squareback) but on domestics. This might be one more explanation for why the Lakewood never sold at all well and was gone after 1962. Chevy would not make that mistake again on the Chevy II. I recall people afraid of sucking exhaust fumes into the car back then. I think the issue was, primarily due to the rear engine layout, the fact that there was not a lower tailgate that folded out, extending the load floor. There’s an excellent article on a ’61 Lakewood in the May 2019 edition of Hemmings Classic Car. As to the interesting weathering pattern of the paint in the last photo, I might attribute that to sun exposure? The shadows in the picture seem to point to that. Was the Karmann-Ghia a realistic competitor for the Corvair, or were they aimed at separate target markets do you think? The Corvair was a small family car that could be dressed up with sporty trim and extra power. The K-G was a two-seater. It was first a more stylish, less practical VW. Someone who was a good fit with a K-G might also consider a Corvair Monza (the dressy bucket seat model). A K-G wouldn’t be practical for anyone who needs a back seat. They were about the same sticker price as a Monza; the K-G was a significant price increase from a Beetle. Sorry, the K-G had a tiny back seat. Even VW didn’t recommend using it. I dream a little about what a 2-gen Corvair wagon would look like. Heavenly, I imagine. I’m a little confused here as to why these Corvairs still have tags on them. When you scrap a car in Maryland, you need to take the tags off and turn them in for cancellation (or if they’re expired, you can keep them, you just can’t use them). Same for when you sell a car. The plates come off. It’s up to the new owner to get the car new license plates. I like the light blue 4 door with the white top (Tag No. WLY-308). It’s interesting that the similar aged coupe sitting to its left has a very similar tag number (WLD-205). Strange coincidence. Here in CO you can take your plates off and apply any unused portion of the registration fee to the next use of the plate. However you only have one year to do so, then the plate is inactive and will be replaced by a new one, i.e. you cannot reuse it at all. Some people keep their old plates, some figure if they can’t use it, who cares. If these cars sat after the reg expired the plates are worthless and would not be reused if more than a year passed. WLD and WLY were both sequences used in Weld County, Colorado after 1982. Weld County is the county closest to where I found this set of cars, so not such a coincidence. Before 1982 these would have only had a two letter sequence so likely changed hands after that. The fact that one of them actually has WLD is an ever greater coincidence and only 1000 cars would have that combination of letters in Weld County. In California, non-personalized plates stay with the car forever, even if registration is never renewed, or the title is changed to salvage. Numbers are never reused. Different states, different rules, I suppose. Thanks Guys. In Maryland, the plates stay with the person rather than the car, and you can transfer them to your next car at trade in, or take them off of a car you sell, but in this case, I’m not sure if you can go buy a car from someone and use them again. Another curbivore from Maryland may know this, as I’m not sure. The big no-no in Maryland is to make the mistake of cancelling your insurance before turning in your tags. If your tags are still active, your insurance had better be up to date as well, no matter what, even if you no longer have the car from which they were removed. The only way you can transfer a plate to another person is to gift the car to an immediate family member, and then the plates can stay with the car. As to vanity plates, as long as the previous owner turns them in (and signs something I think), they can be re-registered (or even made again if they were destroyed after having been turned in) to a new owner. 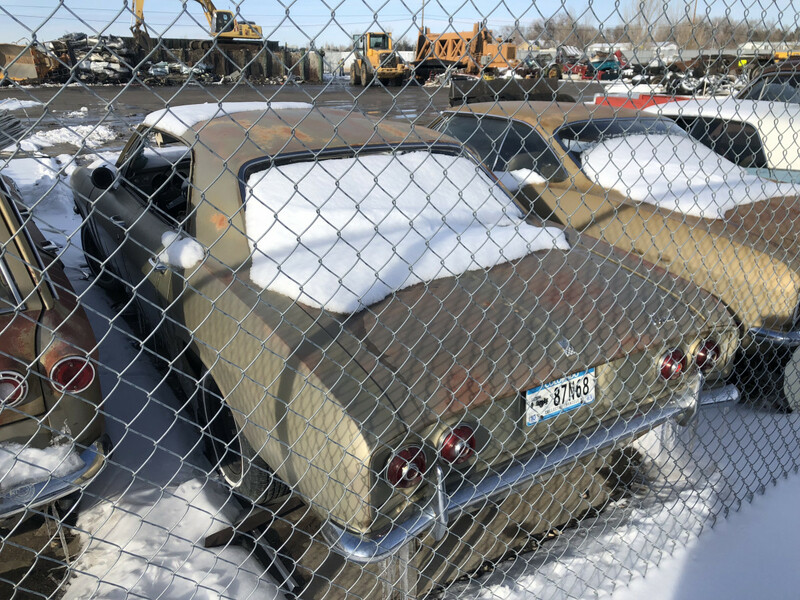 It’s sad to see these cars wasting away. It makes almost no financial sense to restore one, as even nice ones are easily attainable by most anyone of reasonable means. Of course, there’s no sense in most people who love old cars. Parts are easy to find if you want to give it a go. I still have my ’65 Monza convertible, and have done all the work, spent all the money, and put in all the time learning how these things tick. 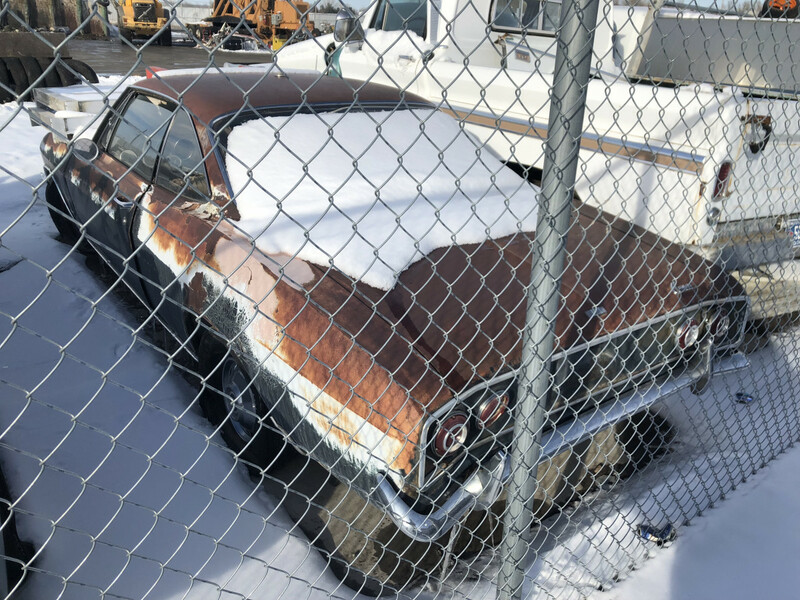 Corvair fans will defend them to the death, and they are great looking, fun-to-drive cars; but in my opinion, they’re mechanically half-baked…those flush-and dry rocker panels, the oil sealing of the engine AND transaxle, and any number of little niggling things I’m forgetting to mention. 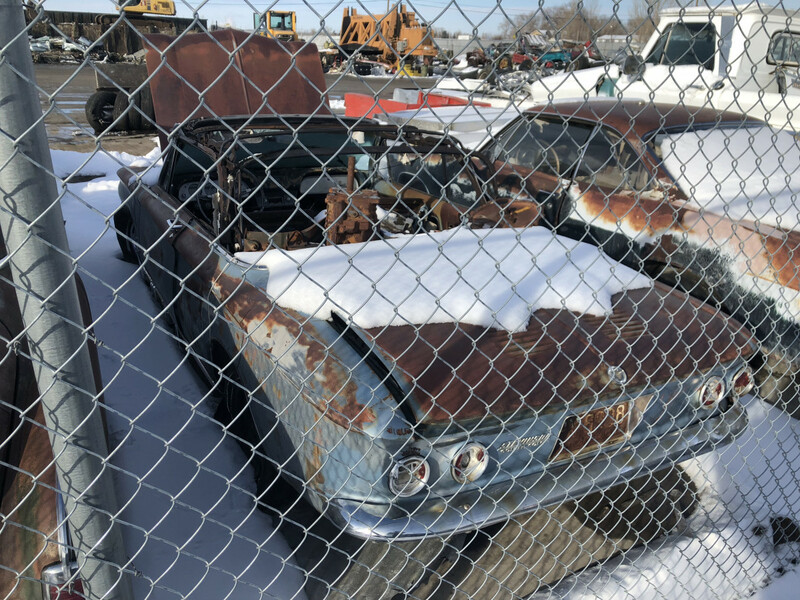 I like my convertible, but I don’t think I’d buy another Corvair…I’m in no-man’s land in the Corvair universe. Many owners have a bunch of them and don’t collect anything else; that has to say something. It’s still fun to put the top down and run through the gears on a nice day. I’m with you. Loved my 65 Monza convertible and enjoyed restoring it Even with the PG, it was a hoot to drive. Still miss it but so much of it was half baked, like the heater. They really aren’t wasting away in the dry CO sunshine. Yeah, the interiors and rubber parts waste away but the sheet metal stays intact. The convertibles’ floor pans will rust out if water is allowed to collect in them; that’s about it. At the very least they’d make great parts cars. I’ve long had a soft spot for the too often ignored gen 2 four-door hardtop, which from some angles has a mini-Chevelle look (well, sort of). This body style only lasted three years, so it’s a 1967 at latest. Of the two here, if one has A/C i’ll go with that one. The wagon has long intrigued me for having both a roomy front trunk and a rear cargo hold, plus a folding second row seat. But Chevrolet didn’t leave room for air conditioning so it’s out. The door/ramp on some Corvair vans is cool but rear engines don’t make sense in vans. I think the late model four-doors were the most graceful looking of all Corvairs. I quite liked looking at the vintage license plates including the antique vehicle plate with the funky font. Interesting how most of these Corvairs have a trailer hitch ball and thank you for sharing these photographs.